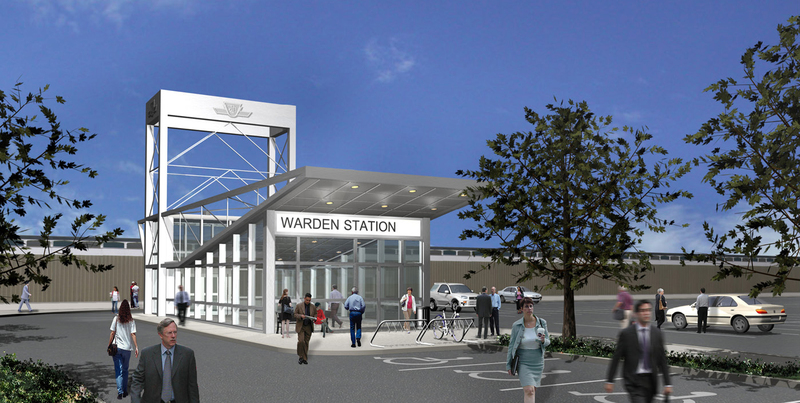 TTC: Warden Station Redevelopment - Strasman Architects Inc. 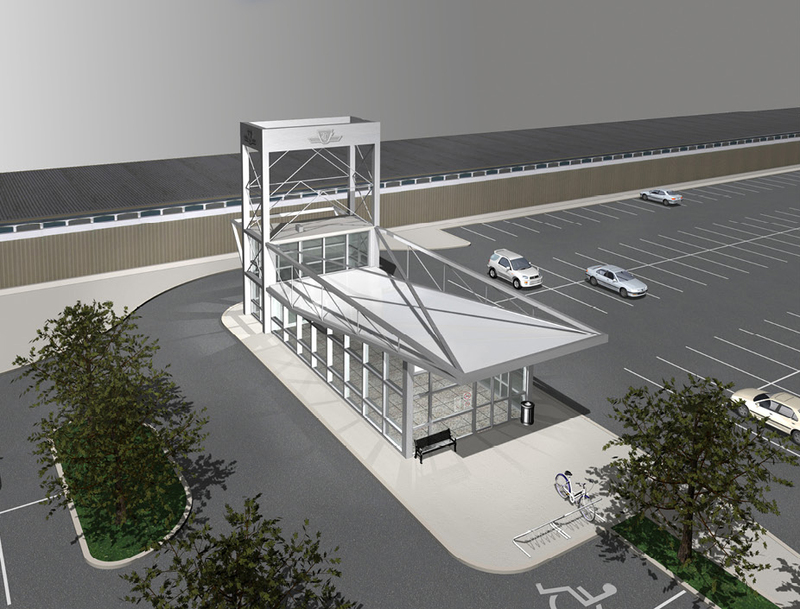 This project is for a new 625 stall commuter parking lot, an entrance/exit stair and elevator with underground concourse to provide access from the parking lot, through a new fare line, into Warden Station. 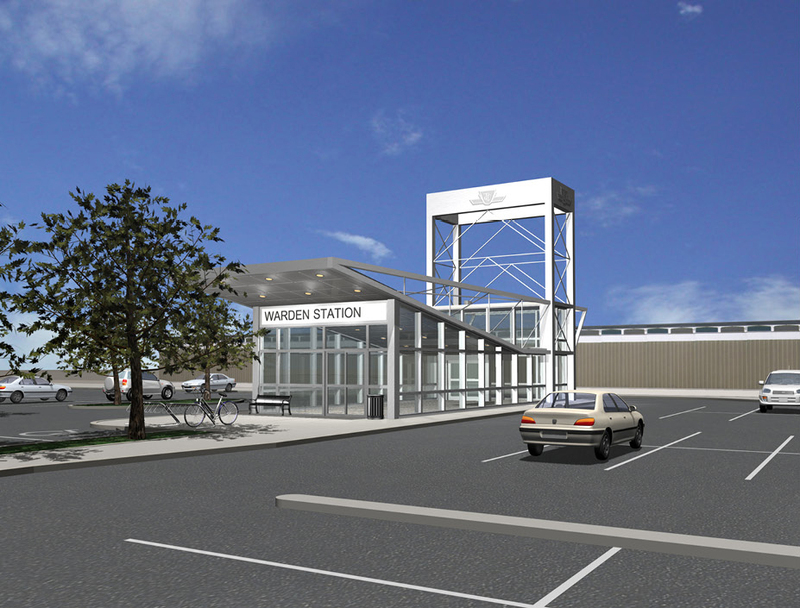 The project is located in a hydro corridor and the exposed steel structure design is expressive of the surrounding hydro towers. An illuminated sign atop the tower is visible from the expansive parking area and marks the station entrance. 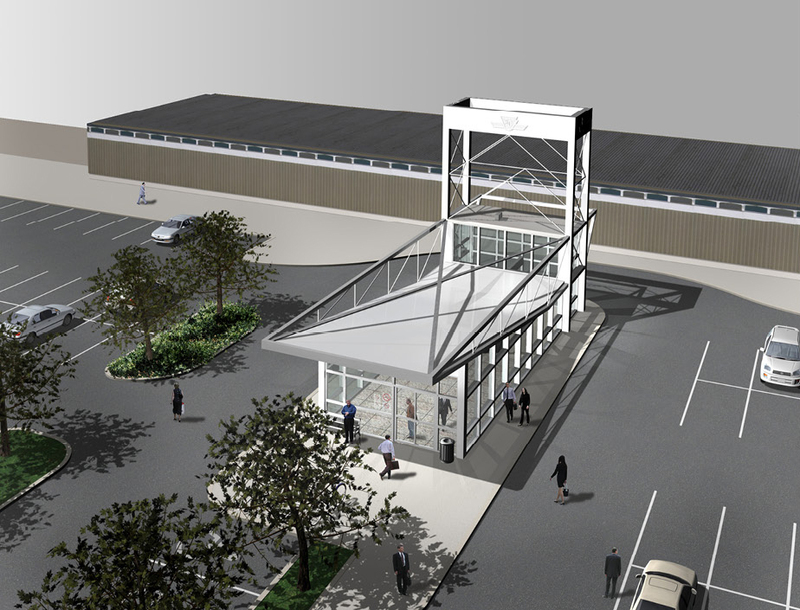 Complete working drawings were developed and the project was suspended by the client immediately prior to tender.